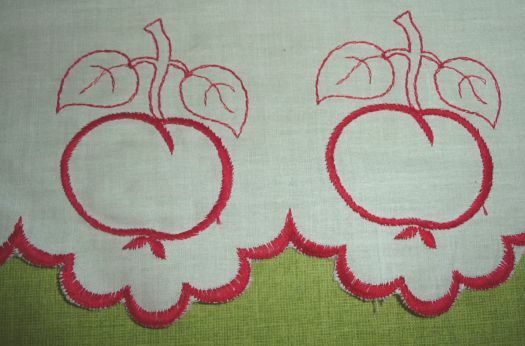 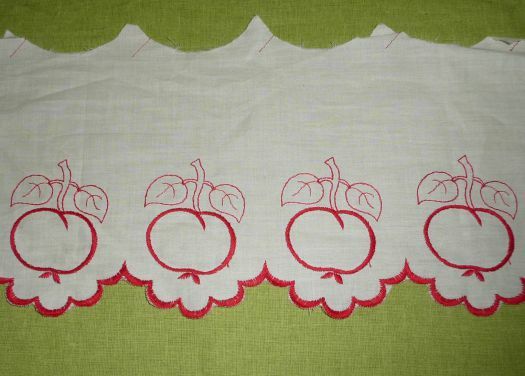 Large decoration for shelf, with a design of apples, on a light and thin cotton. 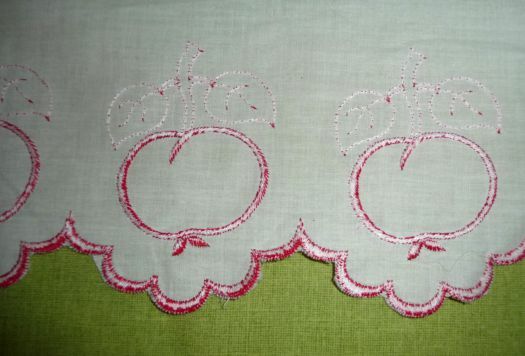 It has been embroidered with machine. 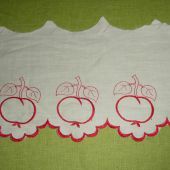 Length 5 m ; height between 11 cm and 16 cm, as you want.